The All Progressives Congress (APC) has absolves itself of any blame for not zoning the position of senate president or deputy senate president to the South East. Yekini Nabena, Deputy National Publicity Secretary of APC who disclosed this to journalists on Thursday, added that the South East should blame itself for queuing behind the Peoples Democratic Party (PDP) presidential candidate during the February election. 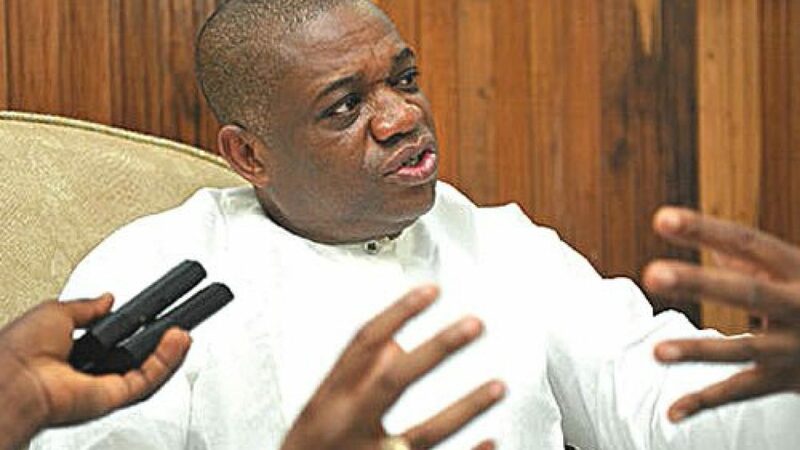 The Deputy National Publicity Secretary while reacting to Orji Uzor Kalu’s stand on the senate presidency issue, revealed that nobody is stopping Kalu from contesting for the position of senate president. He added that rather than getting angry with APC leadership, the former governor of Abia State should blame South East people for rejecting President Muhammadu Buhari. “That shouldn’t be a problem. He can contest for the position of Senate President. But the issue is, can he win? Nobody is stopping him from contesting. Igbo people always play themselves out. So, Kalu cannot blame APC. “He should blame his own people from the South-East. He should blame them because they don’t know how to play politics. They play politics like a one-way thing. They all voted for Atiku in the presidential election. So, now that Atiku lost, who will help people like Orji Kalu? 99.9 percent of them followed Atiku. “So, what is Kalu crying for? He should go back to his people and educate them on how politics is played especially at the national level. They should play 50-50. If this one didn’t work, the other can work. “So, Orji Uzor Kalu must go back to his people and educate them because he himself is not worthy to be Senate President or Deputy Senate President. So, if he wants to contest, he can do so. Nobody is stopping him. But I know that he cannot win”, he said.